NATS has successfully installed and demonstrated a new safety beacon on a crane in Newham, London in partnership with Carillion and Select Cranes. 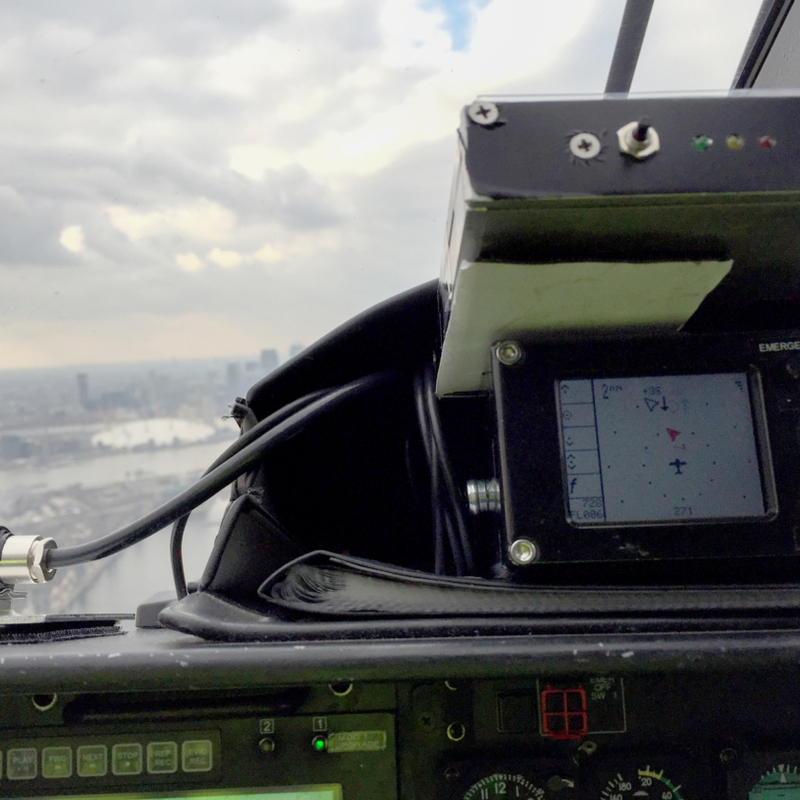 The beacon – known as a low-powered ADS-B transceiver or LPAT – was installed on a tower crane in Newham and successfully completed a proof of concept trial where it transmitted its location to aircraft in the area. General aviation pilots typically fly by Visual Flight Rules (VFR), meaning they look out of the window and use landmarks, buildings and rivers to navigate through the airspace. Under VFR pilots have responsibility for seeing and avoiding any obstacles as they fly. However, the introduction of an electronic beacon could provide an additional level of safety. The trial, run by NATS with support from Carillion and Select Cranes, was the first of its kind and saw an Arena Aviation helicopter and a National Police Air Services helicopter, each equipped with an LPAT, picking up electronic signals of the crane’s position from 1 nautical mile away. LPAT performs a similar role to a transponder by transmitting an aircraft’s location to other airspace users, and it is light-weight and low powered, making it ideal for lighter aircraft, and for potential use on cranes or buildings. Mark Watson, Head of Research and Development at NATS, said: “It’s in everyone’s interest that our airspace is as safe as possible. NATS has been working with ADS-B data for many years. The successful trial could pave the way for LPAT to be used for other purposes, such as helping to enable drones to be electronically visible to other airspace users. NATS is currently analysing the data from the trial and looking at the other potential future use of LPAT.